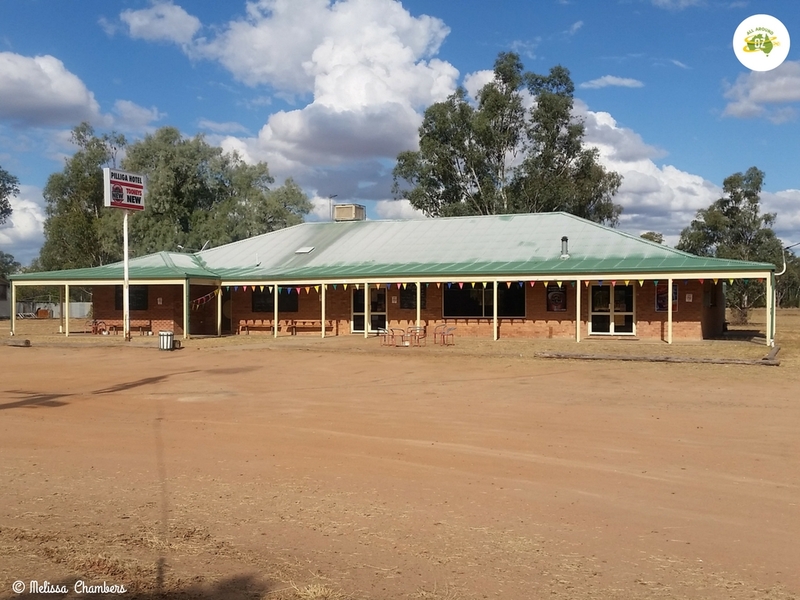 After a couple of awesome days exploring the Narrabri area and camping at Yarrie Lake, it was time to make our way towards Coonamble and our farm stay – Nakadoo. As we were travelling through Wee Waa and Pilliga, we thought we would have a look around both places. Wee Waa is a small town of about 1800 people. It is located on the Kamilaroi Highway and is about a 30 minute drive from Narrabri. Known mainly for it’s agricultural pursuits, particularly the growing of cotton, it is the oldest town on the Namoi River. The main street is wide and tree lined and boasts a good selection of shops. These include an IGA, a bakery, butchers and the usual assortment of banks and other small businesses. You will also find the iconic Imperial Hotel there. A large three story hotel, that still operates today. The gardens were a real little oasis. So pretty and relaxing. The building has been recently renovated and it is hoped that a coffee shop might open there soon as well. 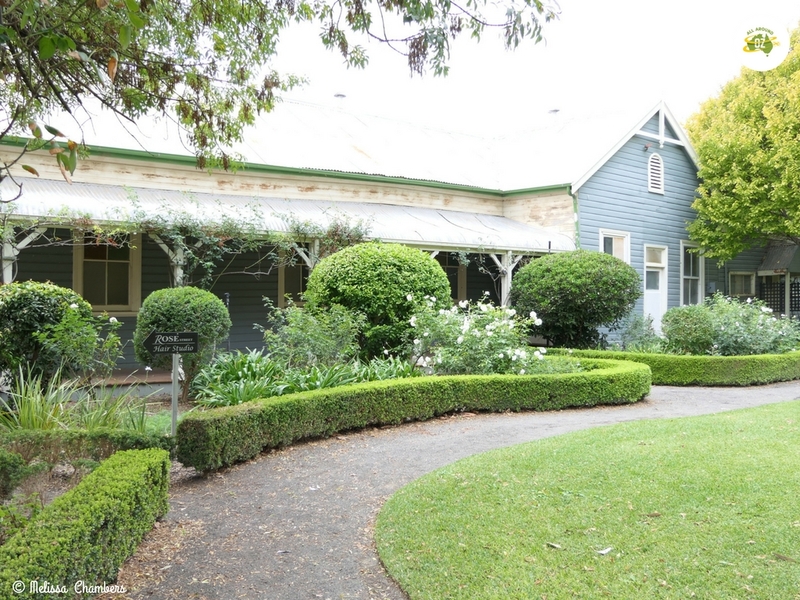 Beautiful old cottage and Garden in Wee Waa. 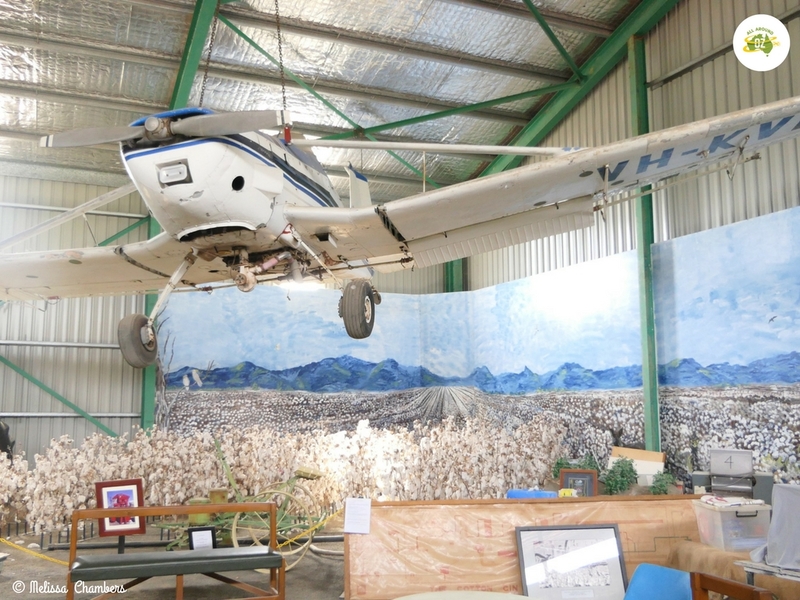 The Namoi Echo Museum is located just on the outskirts of Wee Waa. It contains an impressive collection of items from days gone by. Run by the local Historical Society it first opened in 2006. The Museum is divided into sections and has a war time display, shearing display, cropping display and plenty of tools, house hold items and machinery. An excellent idea for a display was an aerial spraying plane suspended from the ceiling as if it was flying over a cotton crop. It was a really clever way of illustrating what the area is known for. A great display to showcase cotton farming in Wee Waa. Outside in the grounds of the museum, stands an original saw millers cottage and also a school house that was originally located on a local property. Both buildings have been fully restored by museum volunteers. 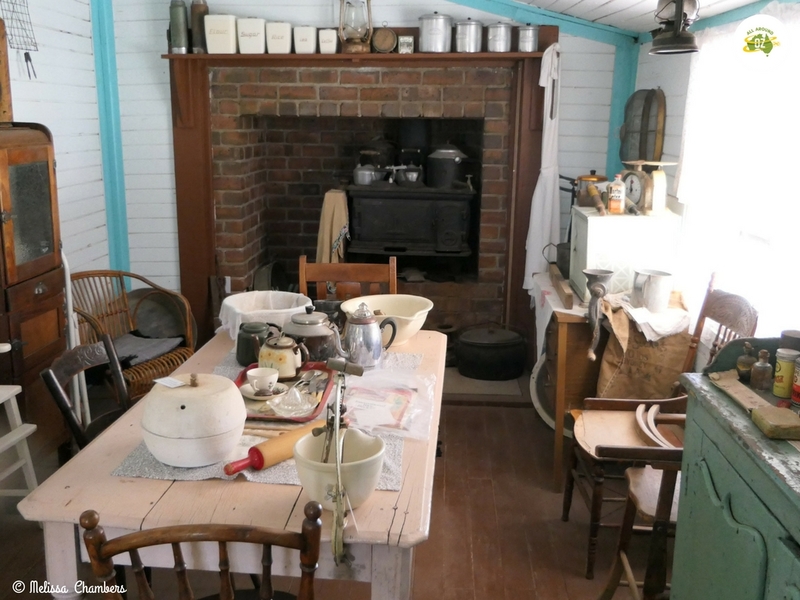 The cottage in particular, is just as it would have been, with original furniture and household items on display in it. It’s not really that many years ago that this would have been a very typical kitchen set up. Just a little under 60 kilometres from Wee Waa is the tiny village of Pilliga. Pilliga’s most well-known attraction are the Bore Baths located just out of town. First constructed in 1902, the mineral rich water has long been recognised as having therapeutic benefits. 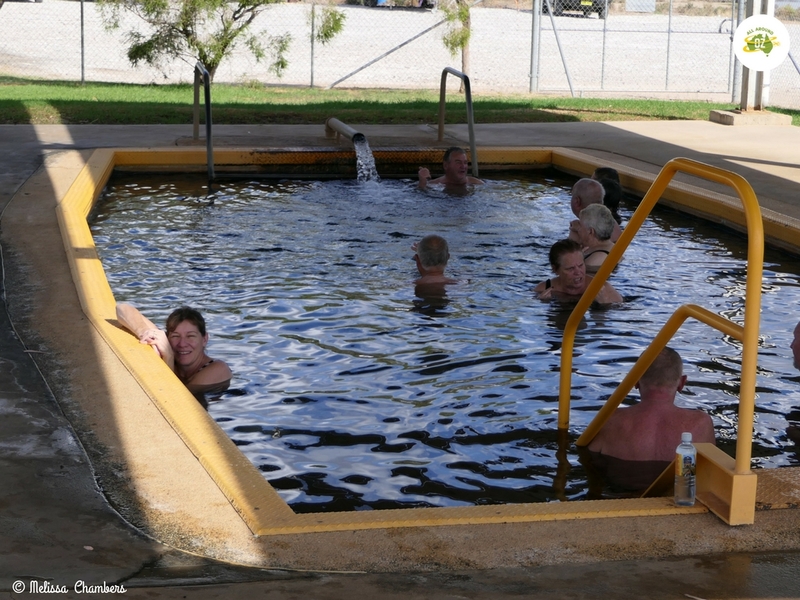 Pilliga Bore Baths are a very popular stop-over for ‘grey nomads’ and this is aided by a low cost camp ground right next to the Baths. At just $5.00 a night, it makes for a cheap stop over. However, for us we felt it was very crowded. There were two toilets available but they had no toilet paper in them. There was a sign saying that you may need to provide your own paper as they are only serviced three times a week. I did end up having a quick swim, but compared to other thermal pools I’ve been in this one was not overly clean. The sides and parts of the bottom were covered in slime and the water had an oily film on it. Now this may have been from the bore water itself. Or it may have been from the amount of people using it and the fact that it is only cleaned once a week. Probably not often enough for such a popular spot! There are BBQ’s and a covered picnic area, so it wouldn’t be a bad spot to stop for a rest break. I had to have a quick swim at the Pilliga Bore Baths just to say I have! Pilliga village is just a dot on the map. It has a shop, a post office, a Police station and a pub. Behind the pub is a large area where you are welcome to free-camp. The pub didn’t open until 3.00pm, so it was very quiet. We will file it in the memory bank for next time we are passing through. You can camp for free behind the Pilliga Pub. Out of Wee Waa and Pilliga, if I had to choose a spot to stop for a night or two I would definitely opt for Wee Waa. It was a pleasant little town and the locals were very friendly. I would have been more than happy to spend a bit more time there.